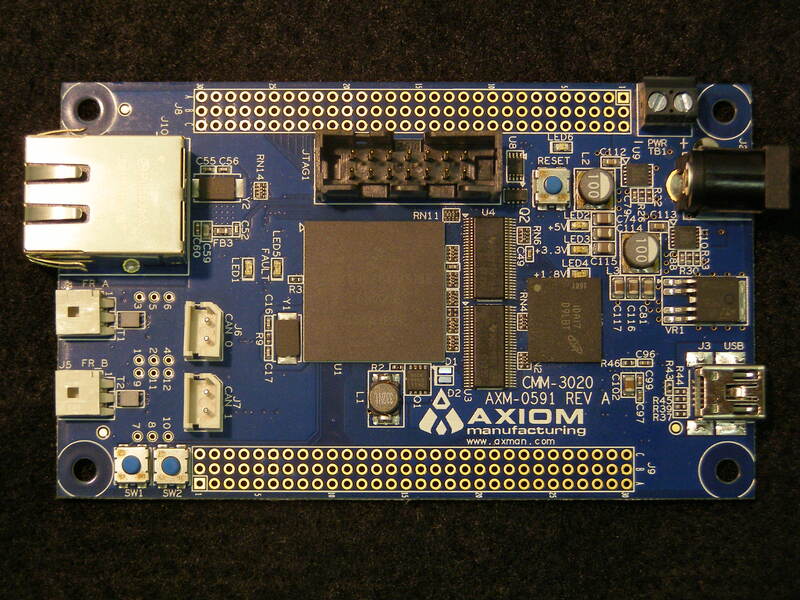 The CMM-5675 Development Board from Axiom Manufacturing is a fully featured application module based on the MPC5675K MCU. The MPC5675K features dual, e200z7d Power Architecture© cores, which operate in either Lock-Step Mode for safety-critical applications or in Decoupled Parallel Mode for applications requiring maximum performance. The operating mode is statically switchable under software control. Software tools from multiple vendors provide a diverse and varied application development and debug eco-system. The MPC5675K microcontroller is a 32-bit embedded controller designed for advanced driver assistance systems with RADAR, CMOS imaging, LIDAR and ultrasonic sensors, and multiple 3-phase motor control applications as in hybrid electric vehicles (HEV) in automotive and high temperature industrial applications. The CMM-5675 Development Board provides access to numerous on-chip peripherals; including, CAN, FlexRay, Ethernet, DDR Memory, and Serial UART. Standard connectorization simplifies cabling to the CMM-5675 module. 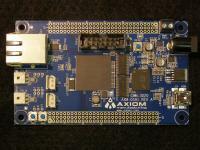 Signals and peripherals not applied on-board are accessible on IO headers located along each edge of the module. A 2.1mm barrel connector and optional terminal block make applying power easy.